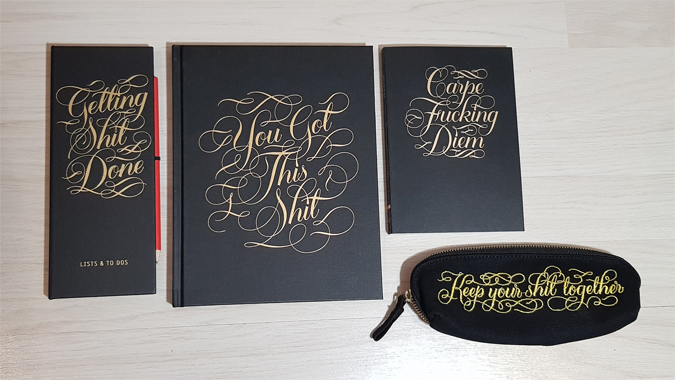 I love growing my Calligraphuck stationery collection. 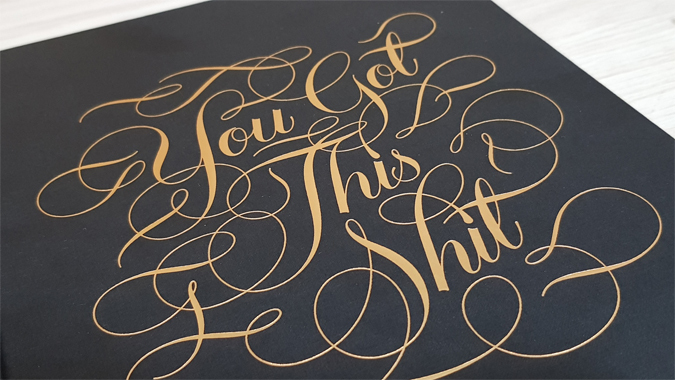 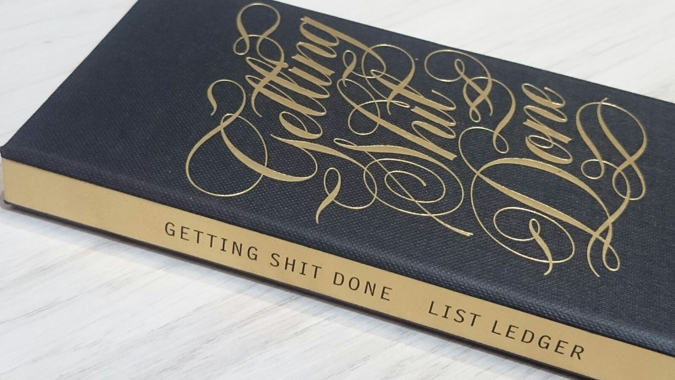 There’s something about calligraphy which makes me feel fancy AF, so it’s totally fine that this stationery is sweary. 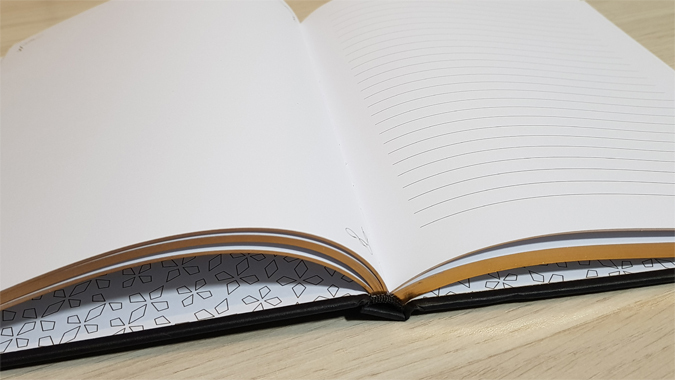 I already owned the flexi journal, list ledger and pencil case, so when I spotted the hardback journal in Abrams + Chronicle’s catalogue I had to have it. 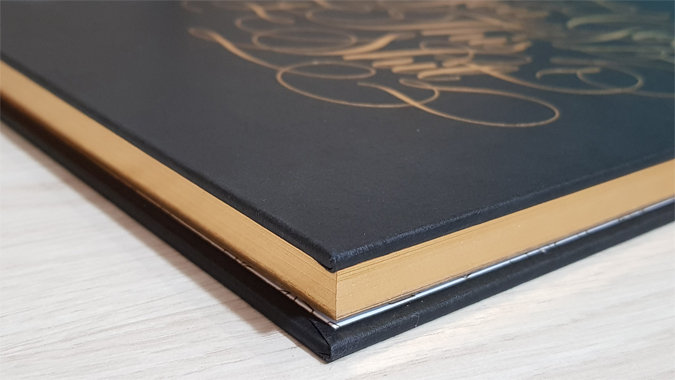 A girl can never have too many journals and this new addition to the Calligraphuck family is extra fabulous because it lies flat, has gilded edges and features both plain and lined pages. 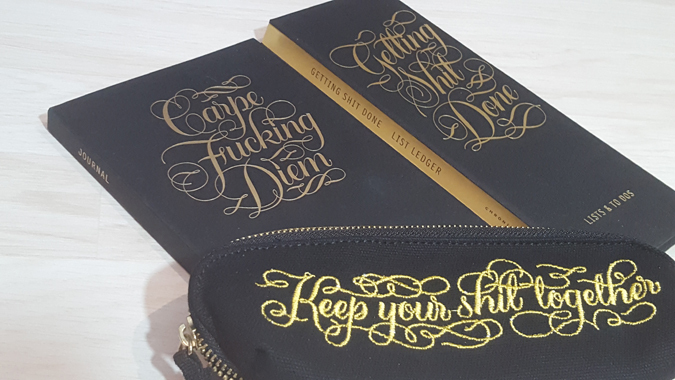 There’s also a colouring book, pack of playing cards, planner, notecards, coasters, pencils and tea towels.